There is something I have to confess right from the start: I’ve completely fallen in love with Jordan and the Middle East. The country was on my travel list for a long time now, but from various reasons I always delayed the visit for another year. Recently, the time to visit Jordan had finally arrived. I started with great expectations and luckily Jordan didn’t disappoint. 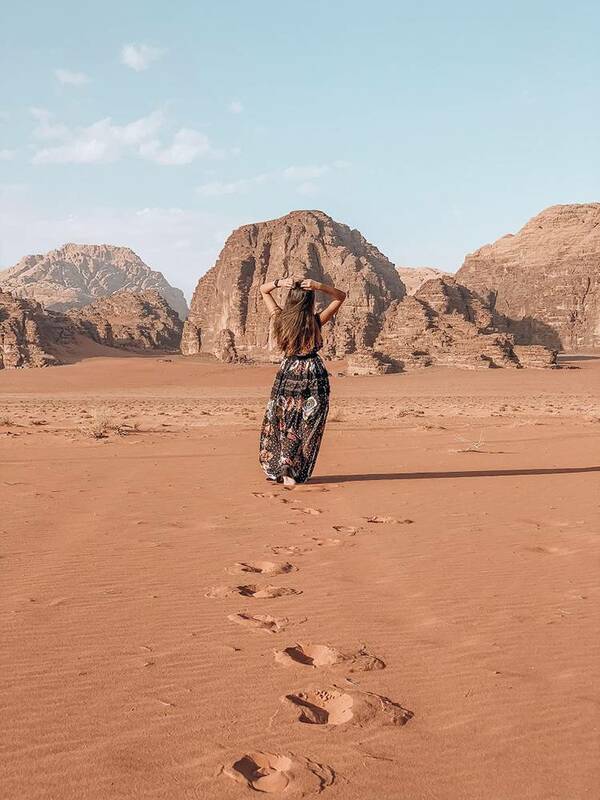 It is a beautiful country with a lot to offer, so let’s show you all the stunning things to do in Jordan not to miss on your first visit. 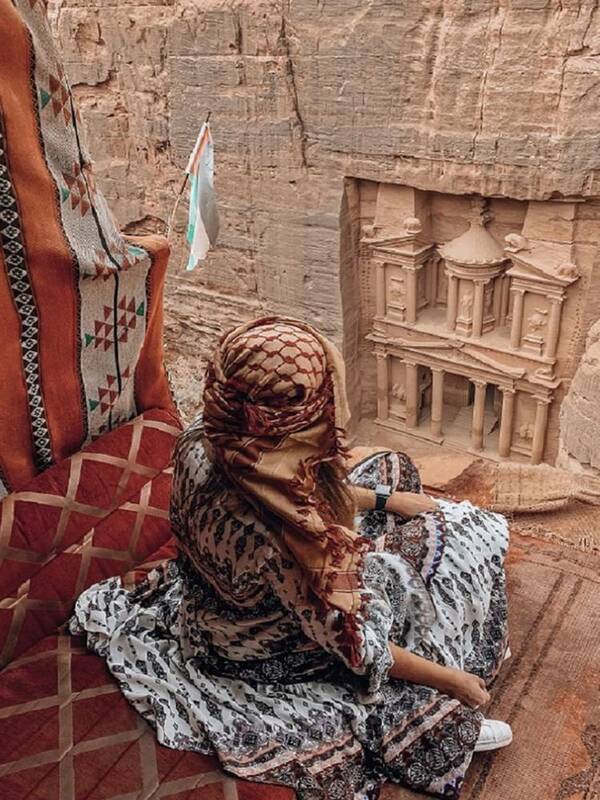 When thinking about Jordan, everybody wants to visit Petra. 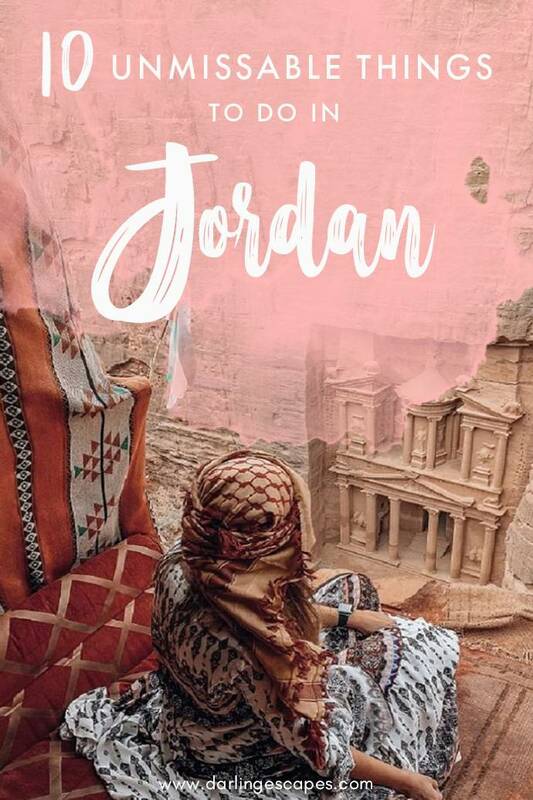 But don’t settle for so little – Jordan has so much to offer besides Petra. So many amazing places that are right there, waiting to be seen and discovered. If you take the decision to invest in seeing a big part of this country, you will need to be road tripping around for two weeks. Renting a car is ideal. It’s by far the best way to travel in Jordan and it will give you the freedom to explore at your own pace. 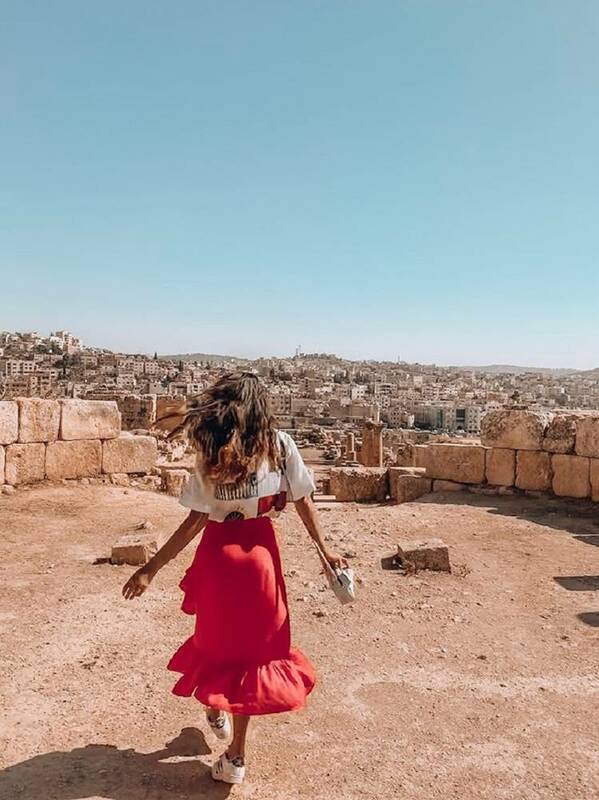 Let’s take you on a journey through my favorite things to do while in Jordan. With Petra being one of the most famous archaeological sites and one of the New Seven Wonders of the World, it surely doesn’t need a lengthy introduction. It’s simply an amazing place. Just put on your most comfortable shoes, prepare to walk a lot and let yourself be impressed by the surroundings. There are many important sites in Petra but make sure you don’t miss the Treasury, the Monastery and the Royal Tombs. Petra is huge, so my advice is to plan for two days here. This way, you will have enough time to discover it’s highlights. This reminds me to advise you to buy a Jordan Pass before entering Jordan. Besides all other advantages and tons of sites being included in the pass, it also includes the entrance to Petra. Just make sure to pay attention when you buy it, because there are different options that include 1, 2 or more days at Petra. Another valuable advice is to start early in the morning if you want the site to be less crowded. That way you’ll have the time to enjoy it and make those beautiful photos you always dreamed of. As the name says Little Petra is the smaller version of Petra. It might not be so impressive but it’s definitely worth a visit and it will not take too much of your time. A couple of hours will allow you to visit almost everything and give you extra time to pet some very cute orange cats. The entrance to Little Petra is also included in the Jordan Pass. Initially I didn’t plan on visiting the Wadi Rum desert due to previous desert experiences – I didn’t expect to see something new. In retrospect, I am really glad I changed my mind, because it was completely different. Wadi Rum is a unique type of desert that is offering not only sand and dunes but also canyons, bridges and amazing viewpoints. To this day I am proud of my decision to not skip this objective and neither should you. I can whole heartily say it was just as great as seeing Petra. If you decide to visit Wadi Rum, don’t settle for only a few hours tour. Although this option is always available with the travel agencies, I would recommend spending the night in the desert at a Bedouin camp. The atmosphere there is one of a kind. It’s nice and quiet and you will enjoy a tasty BBQ right after what is usually an amazing sunset. As an added perk, if the sky is clear, there will be a sky full of stars for you to admire. 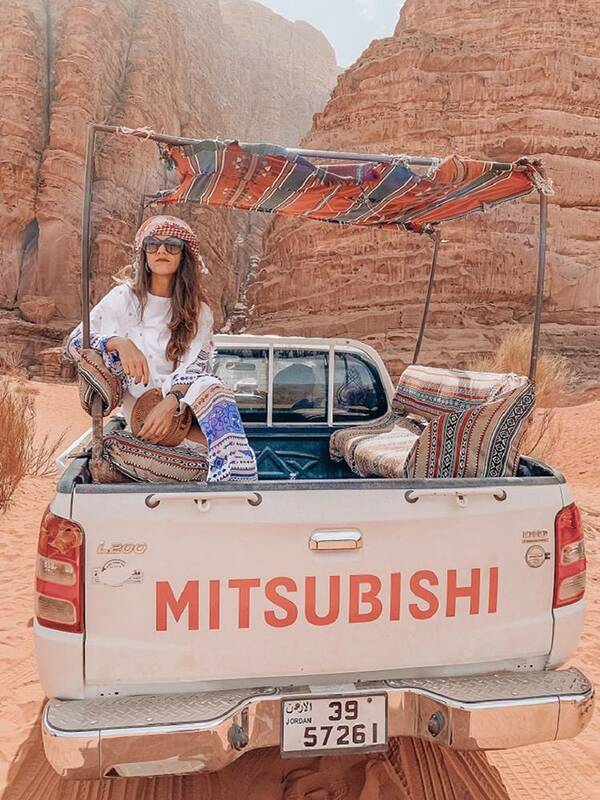 There are many camps in Wadi Rum and you can choose from simple tents, luxury tents, transparent bubbles and even the possibility to sleep outside under the stars. 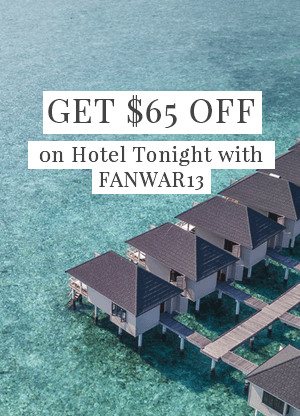 If you’re attracted by the luxury options, make sure you book in advance – they are the first to be sold out. You can book the desert accommodation with the same agency providing the tour. All agencies will give you both options: with or without overnight. Cover yourself in mud and take some funny pictures. Then hop right in the water and let yourself experience the unique feeling of floating in a very salty sea. Since this is not something you can easily do in a lot of other places, you shouldn’t miss it while you are sightseeing in Jordan. It’s ok if you don’t want to spend the night there. I have very good news for you: many Dead Sea resorts offer daily entrance for beach and swimming. One more very important thing: don’t leave the beach early! Just wait for the sunset. You will not regret it. This will end up being your favorite moment of the day. A visit in Jordan is not complete without visiting its capital city, Amman. I found Amman to be a very nice and vibrant city with a touch of old and new at the same time. Most people consider it one of their favorite things to do in Jordan. There are several sightseeing spots in Amman, but for me the most beautiful is the Citadel. Here you’ll be able to enjoy some beautiful views over the city. Go there in the evening to watch the sunset – this was definitely my Amman highlight. 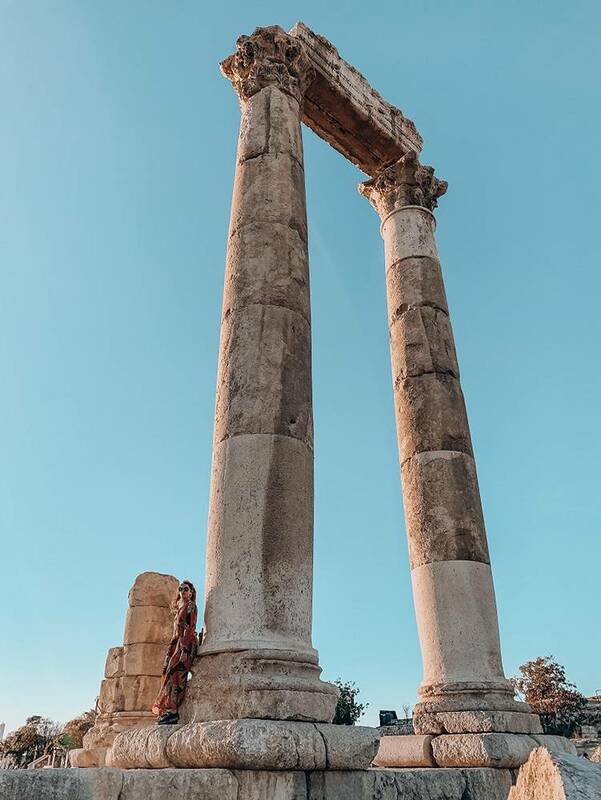 Jerash is one of the largest and most well preserved sites of Roman architecture in the world outside of Italy and its history goes back more than 6.500 years. You will have the opportunity to walk through the ancient city and observe the well-preserved colonnaded streets, the theaters, the public baths and fountains. The ruins offer some great view points over the entire site. Several hours are enough for discovering the ancient city of Jerash. 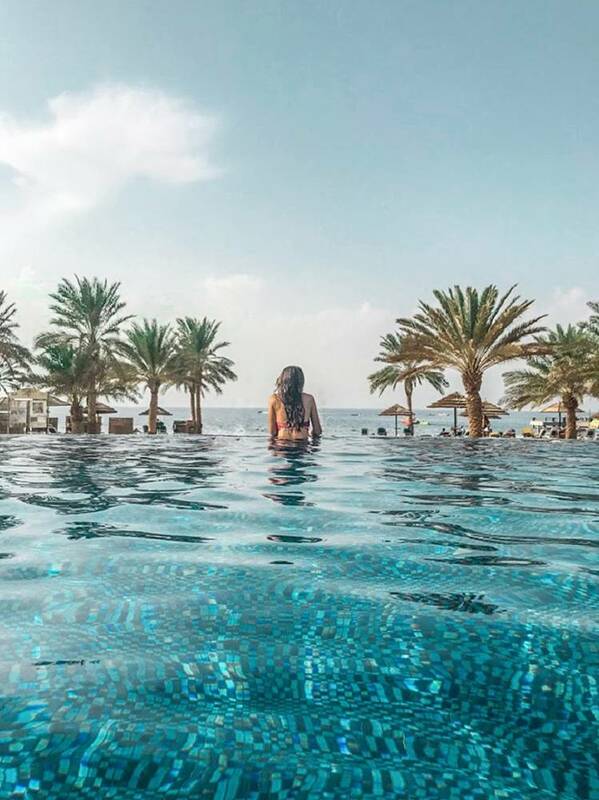 If you’re tired after sightseeing so many beautiful places, then for sure, relaxing on a beach in Aqaba might be just what you need. If you want to feel comfortable in a bikini and enjoy your time at the seaside, choose a resort with a private beach. There aren’t too many places to visit in the area, but you can enjoy your time at the beach, sunbathing or swimming in the Red Sea. Enjoy some beautiful sunsets while taking a leisurely stroll on the beach. For accommodation you can choose either Aqaba or Tala Bay. Tala Bay is a modern touristic area located a mere 15 minutes’ drive from Aqaba. If you’re looking to relax in quiet surroundings, this is definitely the place for you. When driving from Amman to Petra (or vice versa) you can choose to take the King’s highway. Definitely choose this road if you want to experience some stunning views while driving on the Dead Sea coast. To complete the scenery you might get lucky and spot some camels taking their lunch right out of a tree. This place is neither beautiful nor instagrammable, but it is worth a visit for its history and meaning. You are not allowed to walk alone, because the Jordan River acts as a natural border here between Jordan and Palestine. Once you buy your entrance tickets, you’ll have a guide take you inside the site. The time spent here is short, but you will learn some interesting trivia. The baptism site is also very close to the Dead Sea, so you can easily stop for a visit. From my point of view there is absolutely zero chance not to like Jordan. It has something for everybody: history, unique places to visit, delicious food and friendly people. 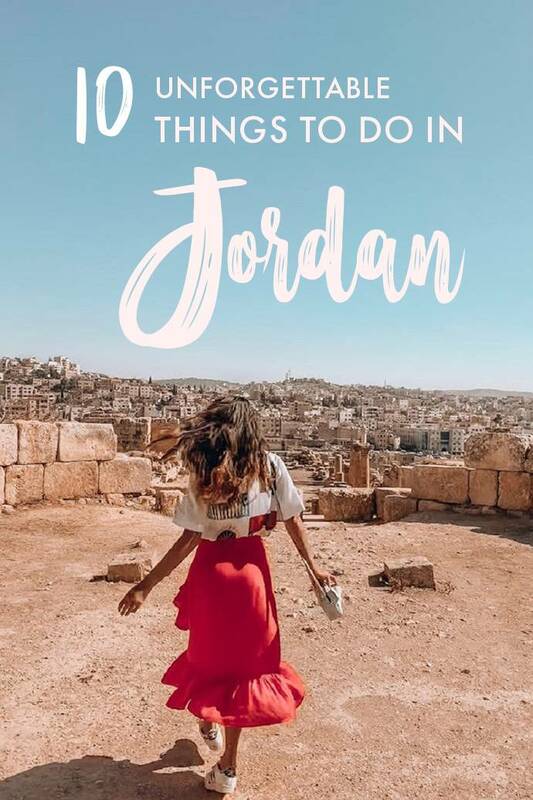 So, whatever you will choose to do off this list of top 10 things to do in Jordan, it will definitely end up on your list of beautiful memories. Are you packing already? I would! Gabriela Huleai lives in Bucharest, Romania and has a full-time job in the Information Technology field. As a child, all she wanted was to have the chance to see as much as possible in the world. Now having visited 26 countries – and still counting, she’s turned travel into her big passion. 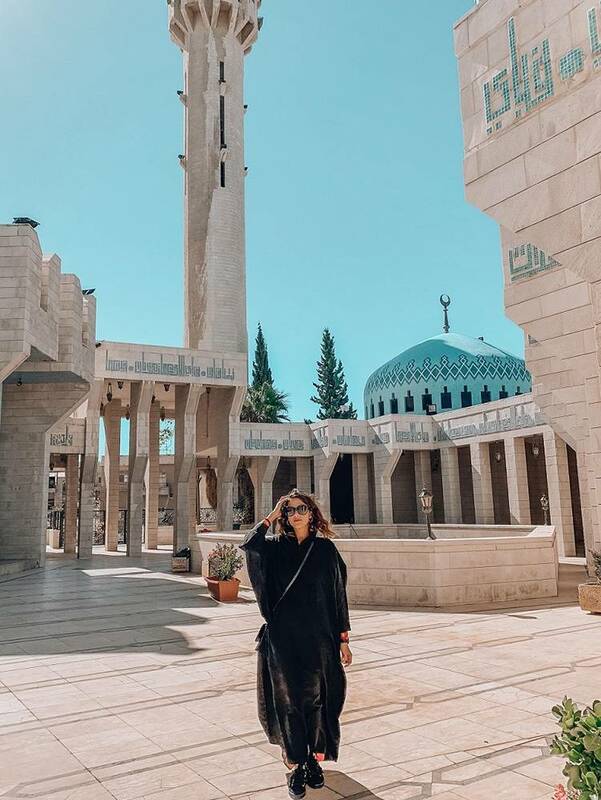 With her Instagram account and travel blog she wants to show everyone that you can still travel and see many great places, even as a full-time employee. Planning a trip to Jordan and wondering what activities and destinations to add into your Jordan itinerary? 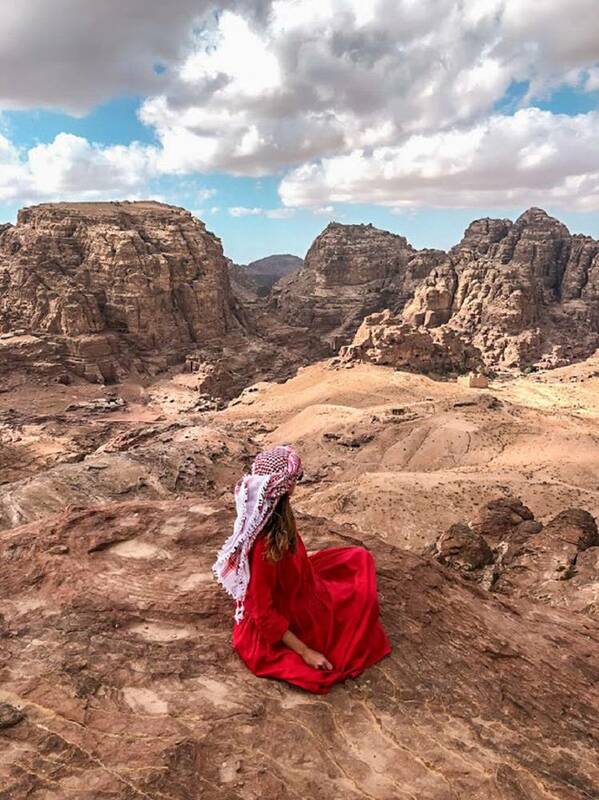 We've got a list of 10 absolutely unmissable things to do in Jordan! Looking for the best things to do in Jordan? 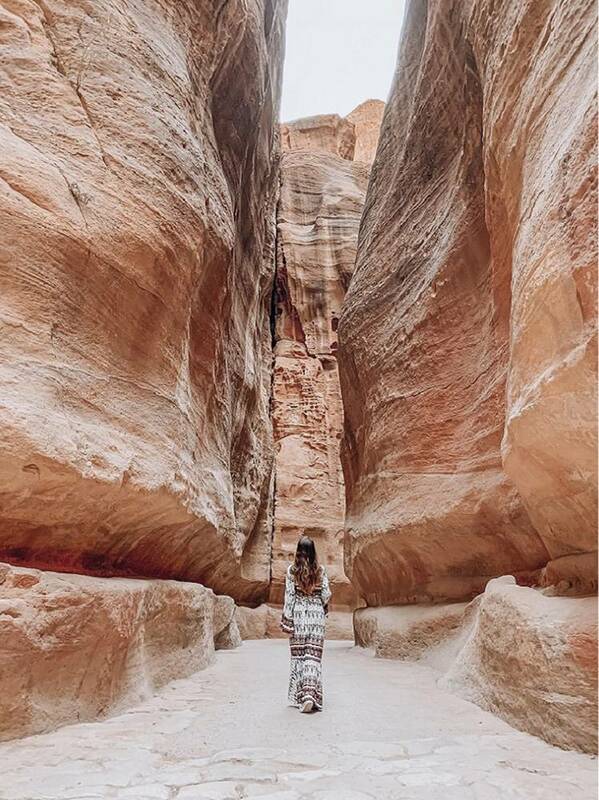 We've got the perfect Jordan itinerary for you, including a list of the most incredible things to do in the country! Planning a trip to Jordan and wondering what the best things to do are? 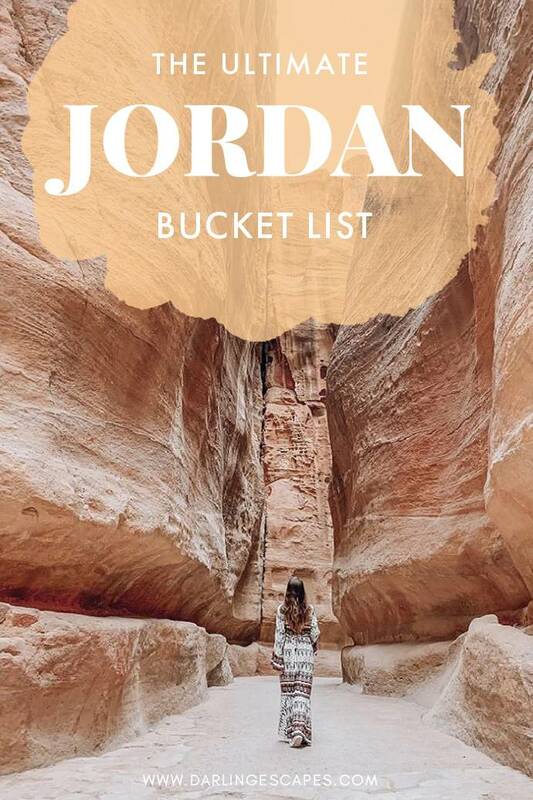 We've got the perfect Jordan bucket list for you with the 10 most unforgettable activities, destinations, and things to do in Jordan!